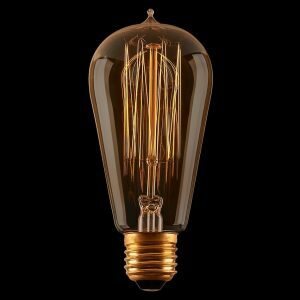 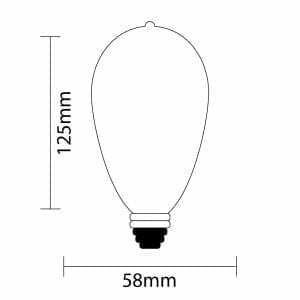 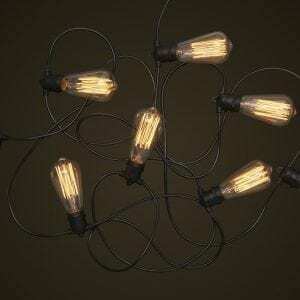 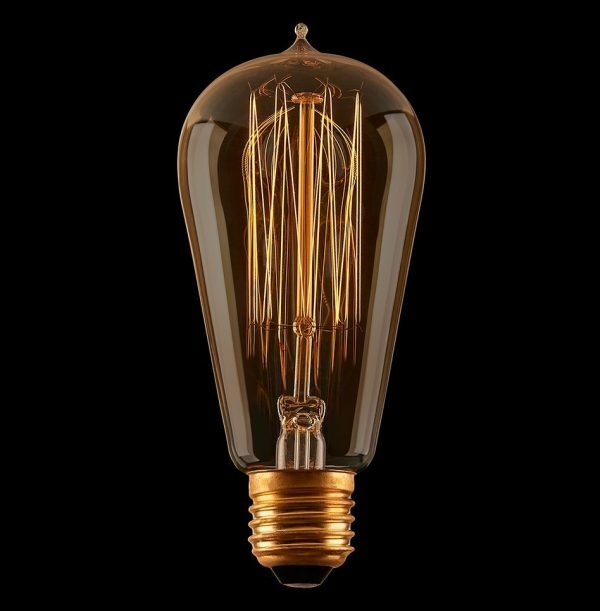 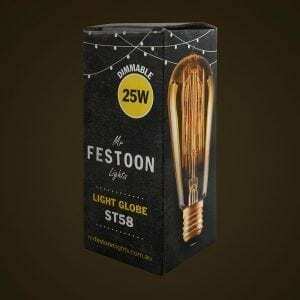 This E27 Screw 25W fancy Teardrop Edison Festoon Light Globe is a great addition to any of our festoon kits. It’s unique and old school shape will help your string light stand out and take its look to a whole new level. 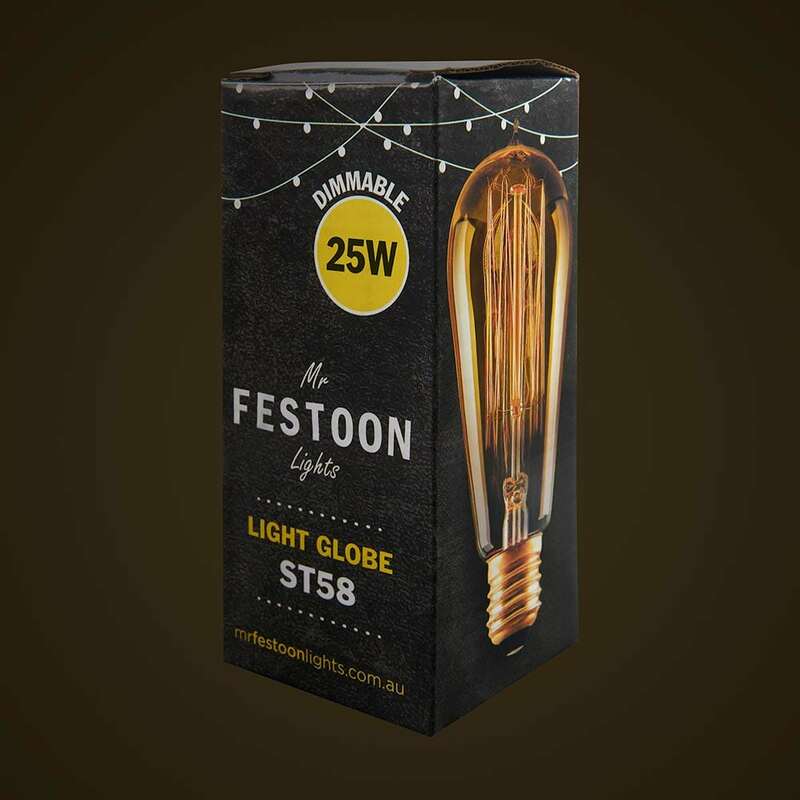 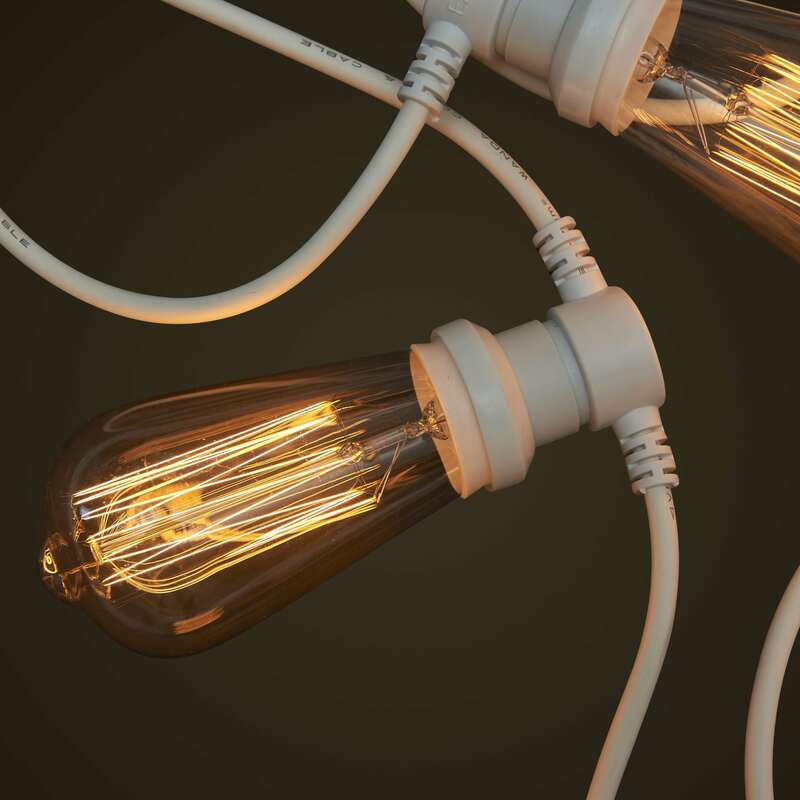 It’s warm glow is the perfect colour temperature for festoon lighting; giving off just enough ambient light without spoiling the mood with a stark white light.